Like most people, Paris was my dream destination. However when I was planning to take a year-long vacation, I crossed Paris out of my travel plans. Paris is way too expensive for a backpacker’s budget and its reputation as the city of love and romance did not really made it ideal for my solo travels. But, as they say, “We don’t take a trip. A trip takes us.” I found myself in the city of amor after an airlines company came up with an exciting introductory offer. 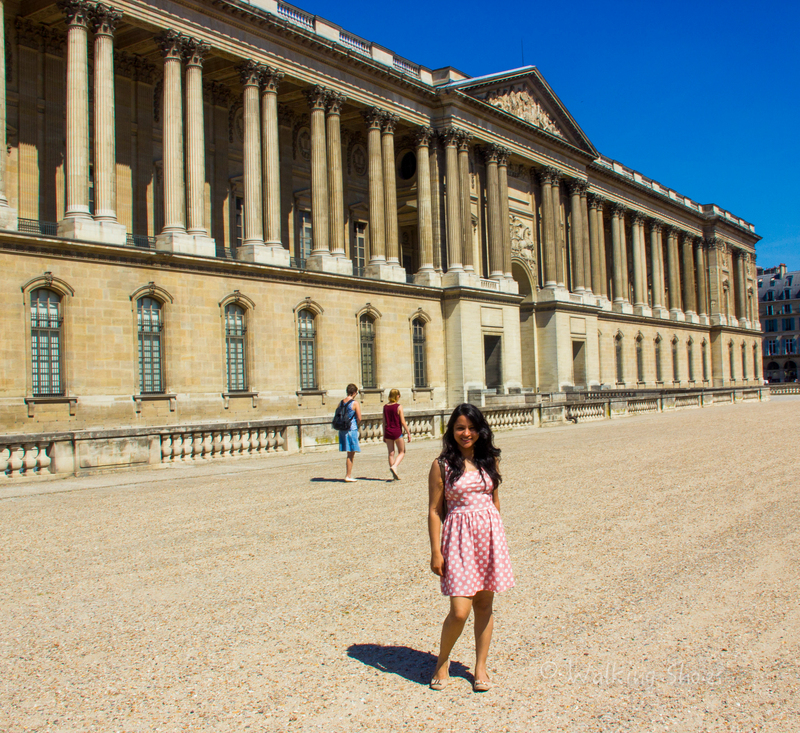 With no knowledge of French language, I experienced the inhospitable side of Paris on the first day. It took me four hours to reach my hostel from the train station for a distance that could be covered in 10 minutes. Reason – hostel name was listed in The English language on the site. Stopping passersby did not help much for most gestured that they don’t speak English. And when I finally reached the hostel, the hostel manager did not speak English which made the matters worse. That night a fellow traveler facing the same issues told me about the rules for protection and promotion of French language. So you know now that my first impressions of the city were not very good. Things changed when I finally started exploring the city. 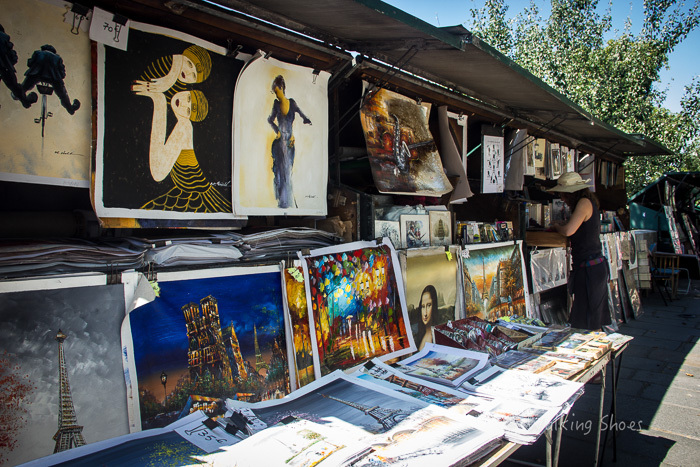 I quickly got fascinated by the beauty and art of the city. 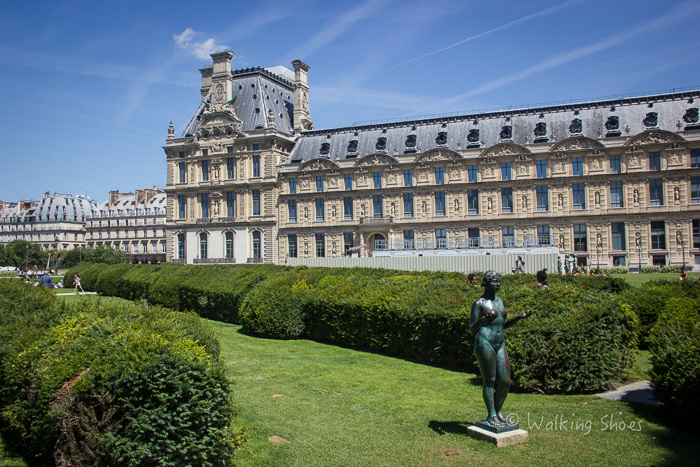 Paris was like an architectural eye candy. Just by looking at the buildings, one can witness the eras and art movements from Classicism to Rococo to Romanticism to Art Nouveau to New Realism. Thanks to the Free Walking Tour I took in the city, I know better about these art forms now. 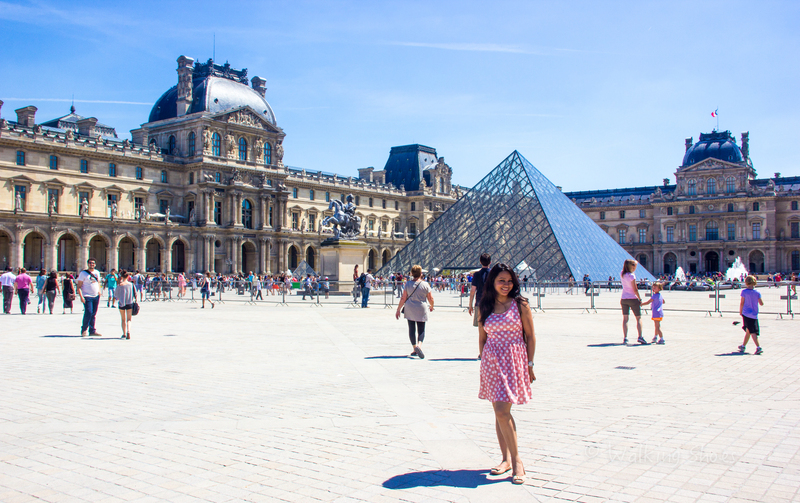 I visited a couple of museums and architectural marvels such as Louvre, Musée Picasso, Arc de Triomphe, walked around Champs-Elysées and indulged in French delicacies. 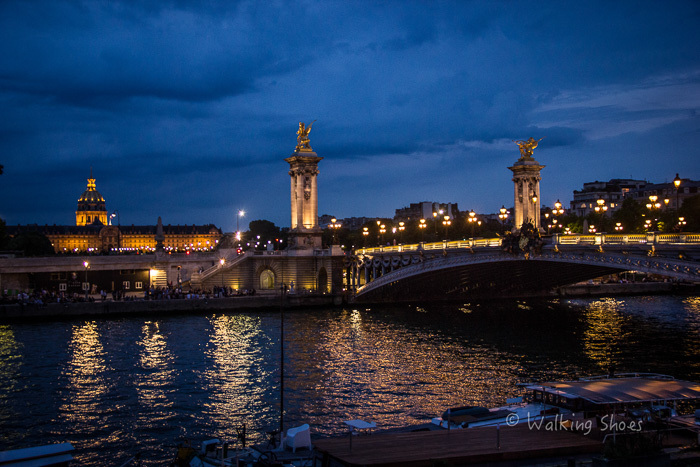 I loved walking around Paris at night for everything looks so beautiful under the gleaming street lamps. How I wished for a “Midnight at Paris” encounter – that a car will stop by and transport me in the times of Picasso, Fitzgerald and Dalí. I spent eight days in Paris walking around illuminated bridges crossing the River Seine, hopping around picturesque patisseries and cafes, marveling at cultural and historic wonders, and gaping at oh so lovely Eiffel Tower all aglow every night – I could not stop myself from falling in love with Paris. 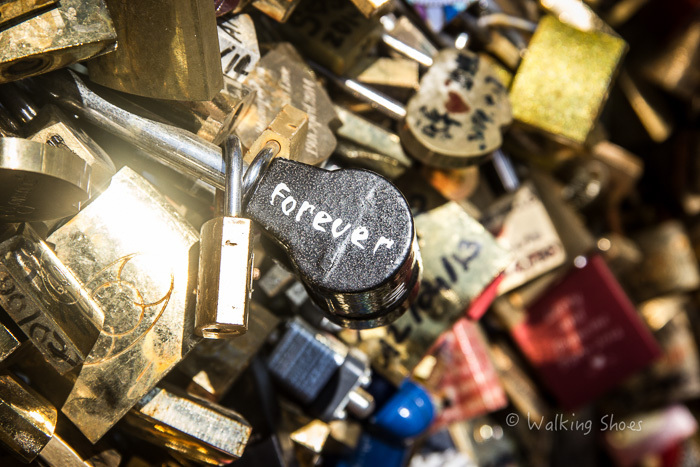 To see couples walking hand in hand, swearing love to each other, lovers putting love locks wishing for forever love – I could feel the love in the air. Paris is a city which makes one wants to be in love. 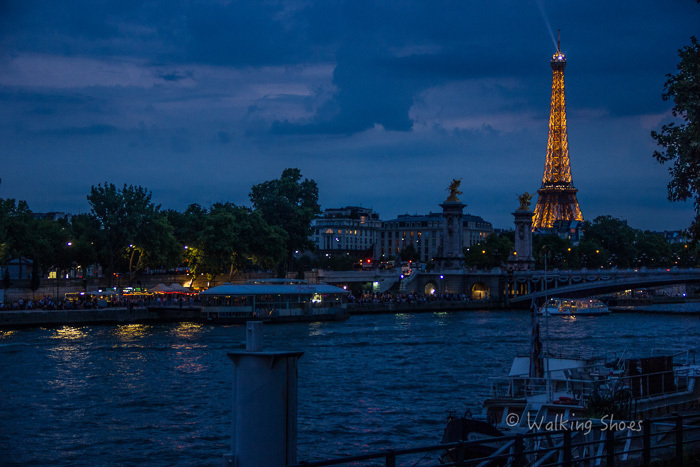 It makes one want to find a little corner on those countless bridges on The Seine and talk away the night under the gleams of wonderful lights. It makes one want to sit with a lover looking at the gleaming Eiffel Tower and feel how wonderful this world is. And it is these emotions that one experiences in Paris that makes the city haven for lovers and a perfect setting for a budding romance. My love for Paris is FOREVER! If you have found the one for you, head for a few days in Paris – the city will surely not disappoint. And if you haven’t found the ‘one’, still travel to Paris because to experience Paris is to experience the joy of beauty, and art, and love, and lights. Hi. I happened to chance on your blog and all i can say is you are one brave, fun person! Keep writing. Can’t wait to catch up on all the previous posts! Hey.. I have just started reading your blog.. Its amazing.. Congratulations and all the best for next adventure!!! I would like to know how u managed your expences.. Keep writing and keep walking.. Thanks Bhagyashri! I will do a post on managing expenses and let you know. singapore link directs to Paris. Can you check? Hi Ankur. Thank you for checking my blog. I checked your page, it is amazing. Keep it up. And you have a new follower too. hey you have truly inspired me to take my first solo trip ever and am hoping it will be as adventurous as can be. i was going through your website and tried checking out north america and asia both these links opens up to Paris. can you please check this. would really like to see those bits. Thank you Payal! I wish you all the very best for your first solo trip. I hope it turns out to be a lovely experience. I am still updating links so N.America pictures would be up by the end of this week. I will inform you whenever it is done. Thank you very much for taking time to check the blog. hey.. just wanted to say that you have truly inspired and motivated me to take my first solo trip which seemed like a distant reality.. but with your adventurous gusto it seems possible. so Thank you for breaking the stereotypes. also… while going through your blog i couldn’t get through the links of USA and thailand they all open to Paris. could you check on it? want to read all your adventures. Hi Leena! Aren’t you Superwoman? you are so amazing.. anyway, i’l be travelling to paris soon with a friend, and i might myself alone for a day or two (as my frn might have to leave early) I’ve heard Paris being unsafe. Like you described, i’d love to explore it at night walking around. Just wanted to hear from you, any wise words on safety ? Paris is not unsafe. Most places that you read about in my blogs are not unsafe and that was the reason I picked them. Incidents of robbery can happen in any part of world. Just be cautious, don’t be paranoid, thats my only advice to you. Happy travels. I wish you a happy travels. Hi, A great journey… Congrats… I think now we can Travelpedia for our future travel reference. Way to go…. Hi, A great journey… Congrats… I think now we have Travelpedia for our future travel reference. Way to go…. Hi Leena, Your blog is really very inspiring. I am travelling to Paris next week and I am a bit scared as never travelled alone before. After reading your travel experiences, I am motivated now and I hope I am gonna have an awesome solo trip. Hey Payal! Wish you a totally awesome trip. It is a beautiful city. Do share your experiences with me. Beautiful pictures! I find myself checking your blog almost daily nowadays! thanks, @thehighheeltalk! Very kind of you to say that! You are the real Queen(I assume you have seen Bollywood movie ‘Queen’). Visiting Paris once in a lifetime with my future life partner was in my wishlist, but now you have encouraged me enough to go on a solo trip. It will be an exemplary experience to have. Thank you for you sharing your experience!